Many people don’t realize just how much of an impact food has on their overall health. Proper nutrition is super important when it comes to staying well, as it goes beyond merely helping you maintain a healthy weight. In fact, experts have found that eating too many foods that have low nutritional value can even boost your cancer risk. According to Medical News Today, a study that was conducted at the French National Institute for Health and Medical Research discovered that individuals who consume food that has a lower nutritional value are at a greater risk of being diagnosed with cancer someday. The results of the study were published in the journal PLOS Medicine. Here’s how the study was conducted: researched looked at data that had been collected from more than 470,000 participants from the European Prospective Investigation into Cancer and Nutrition. Volunteers had given experts information regarding their usual dietary habits, and they also provided medical information that was relevant, such as history of cancer. The results of the analysis? Nearly 50,000 people were diagnosed with cancer, including breast cancer, prostate cancer, and colorectal cancer. Based on the information that they had, experts were able to calculate the connections between nutritional qualities and cancer risk. 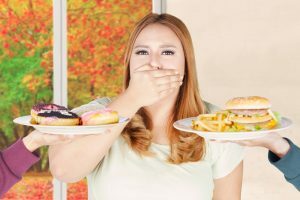 The conclusion: regularly consuming foods that aren’t highly nutritious was found to be associated with a higher risk of developing various cancers, including colorectal, upper aerodigestive tract, stomach, and lung cancer, as well as liver cancer and postmenopausal breast cancer. What Can You Do? Eat Nutritious Foods at Every Meal! Now that you know more about the connections between what you eat and your risk of diseases like cancer, you can take active steps every day to feed yourself, and your family, better. Indulging in treats every now and then is fine, but don’t eat low quality foods all the time. Instead, choosing nutritious foods that are naturally packed with nutrients is the best way to go, so shop for plenty of fruits, vegetables, whole grains, and other whole food ingredients that are also loaded with natural flavor. What you feed your body is important—so important, in fact, that it can have an impact on your risk of getting cancer. Making wise choices at every meal can help you keep your body strong, lean, and healthy as you get older. Support a transition to a healthier eating strategy by taking one of these Intechra Health diet supplements.